An Original Work'n Man's Life recipe! 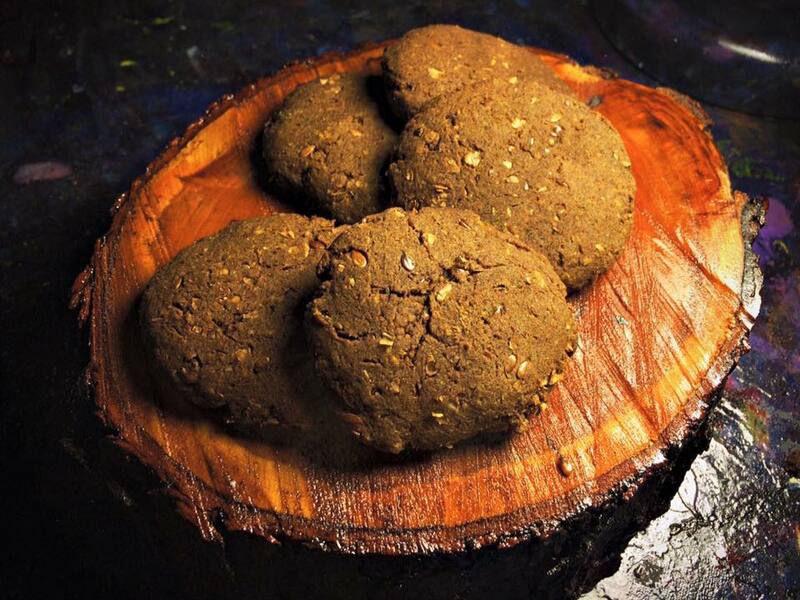 Using a blend of both healthy and robust ingredients, these cookies are perfect for snacking on those brisk Autumn days while you're out cutting firewood. This is my own original recipe that I arrived at through some minor trial & error - and with an aim at keeping my (reactive hypo) blood sugar in check. Takes about 20-30 minutes total time from start to finish! Add more buckwheat flour is the dough is too sticky. Coat a baking sheet with safflower, hazelnut, or coconut oil. Bake at 350F for 10 minutes (if you like chewy) or 14 minutes (if you like crispy).